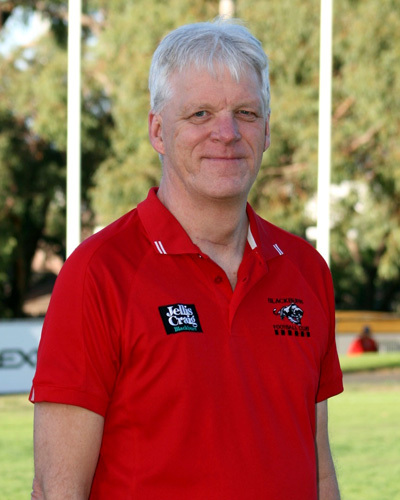 2019 sees Matt Breen entering his 4th year as Club President, and leading a senior club committee that has had an infusion of new talent in the off-season, which will help strengthen the club over the next 5 year period. New members include Phil Hammond (father of Jake and Nathan), Brain Maher (father of Tom), John Wright (father of Jackson) and Casey Johnson (a junior parent). These 4 men bring with them a wide range of business skills and experience in the finance and marketing areas, and will play key roles in assisting the executive and leading volunteer groups. Matt (China) Breen played all of his junior footy at Vermont through to the Reserves, including captaining their U18 team. He joined Blackburn in 1995, and played in 3 Reserves premiership sides in 95, 96 and 2002. In 1998 he began managing the social club and bar, and was assistant coach of the U15s and U16s from 2006 to 2008. After retiring his dodgy hammies at the end of 2006, Matt moved on to being the senior side runner for 6 years from 2007, and was Club Treasurer for 5 years from 2009. 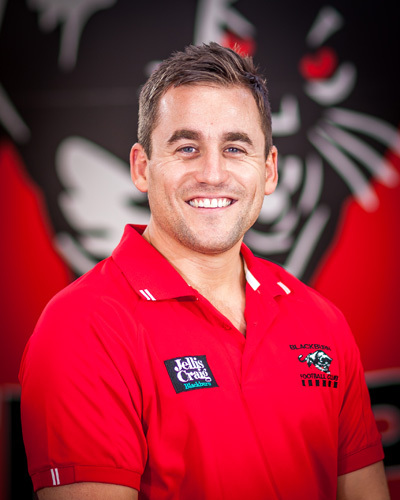 As well as being a decorated 3 premiership player, Matt was awarded Best Clubman in 2001, the President’s Award in 2011 and Life Membership in 2007. Outside of his footy responsibilities, Matt is a senior finance manager with ACC Higgins based in West Footscray. 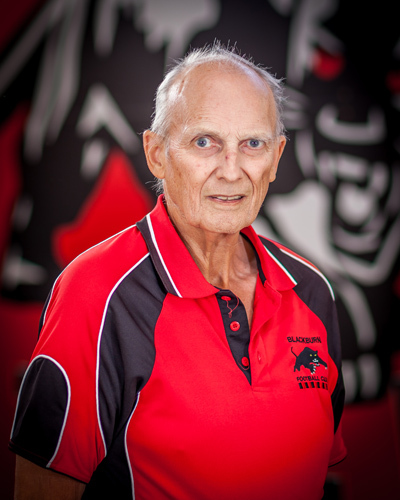 Mick (Tum) Tuminello played over 200 games with Balwyn during the 1970s and 1980s (playing in 4 losing grand finals), where he became a life member after also doing stints as their Club Secretary and Treasurer. 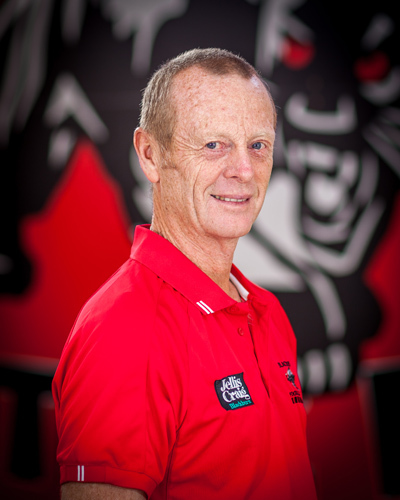 After moving to Blackburn with wife Sheila (Paul Molan’s sister) and starting a family (Michele, Andrew, Matthew and Nicole), Mick got started with all things Auskick, moved onto the Blackburn Junior Committee, and after 5 years coaching junior teams led the U14B team to a premiership in 2004. 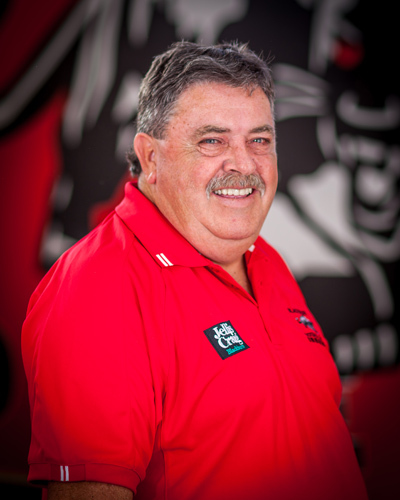 Mick then followed his 2 boys into the senior ranks and has managed to outlast both with continuous senior committee service as Treasurer, President, VP, Secretary and Assistant Secretary culminating with Life Membership in 2010. By day Mick works at BP in the fuel quality area. Like Darren Adey, Mike (or Mick) also played junior footy for the North Blackburn Methos, but decided playing pub pool was more attractive (safer) than the physical demands of playing senior footy – not to say the back room of the Blacky Pub didn’t get a bit rough at times back in the 1970s!!. 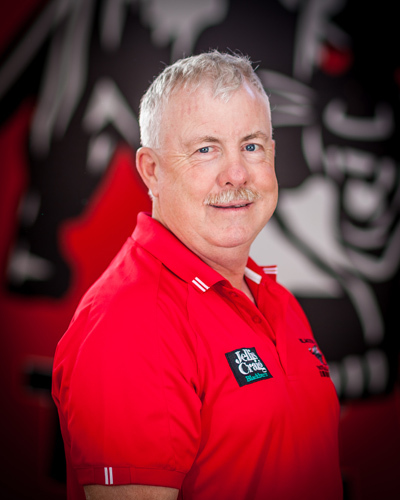 Mike has spent half of his adult life working overseas or interstate (variety of roles, but mainly retail property development and management), but when in Melbourne played cricket for Blackburn and slowly became involved as a supporter of the footy club. 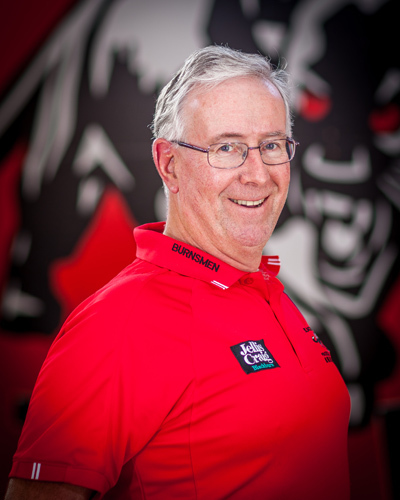 Now retired, Mike starts his 2nd year on the general senior committee, with a focus on memberships and sponsorships. Scott has been involved with the Blackburn FC since 2005 when his oldest son Liam started in the U9s, and in 2018 both Liam and his younger brother Corey will be playing senior footy with the Burners. After being a junior and U19 team manager for many years, Scott came on the committee in 2017 and did a great job representing the U19s and dealing with a range of difficult issues. Being a highly driven individual Scott is ideally suited to taking on his new role. Having a father from Northern Ireland meant Scott’s chosen sport was the world game, soccer. Career highlight was being selected in the Socceroo squad in 1987 / 88 and also playing with successful National Soccer League clubs. The corporate world has been home to Scott for the last 25 years with most of that time spent in senior executive roles, mainly as a Sales Director within the consumer healthcare industry. Growing up in Box Hill North meant the closest pub for Scott was the Blacky, so fair to say that Scott is well and truly a Blackburn boy at heart! Whilst Darren (Daz) Adey was a reliable back pocket player for the North Blackburn United Eagles U17s, his potential was never quite reached due to more social endeavours off the field! 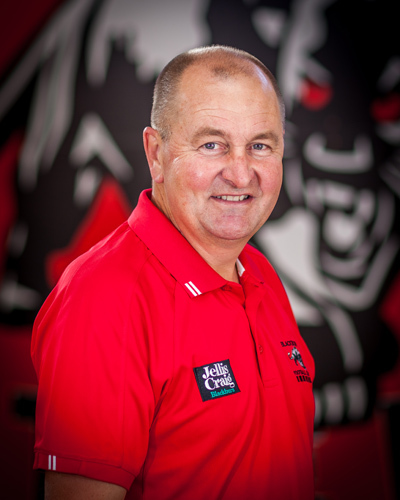 As a true follower of the red and black colours, this “bombers and burners” passionate supporter is developing a great reputation as the go-to man for all things EFL, council, other clubs, rules & regs, player transfers and registrations, etc (not to mention cooking chips in the canteen for his lovely wife and canteen manager, Janine). 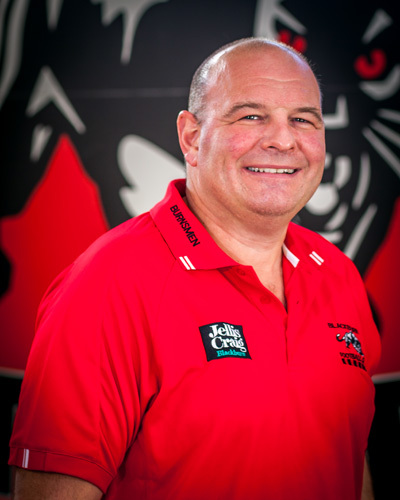 Supporting his son Lachie through his junior and senior career at Blackburn, Darren served an apprenticeship as team manager and assistant secretary for many years before eventually becoming the senior committee Club Secretary in 2014. Now working as a Senior Account Manager for Andrew Kohn P/L, Darren’s recent hard work at the Club has been recognised with the President’s Award in 2014 and Clubman of the Year Award in 2015. Spencer’s interest in the game started in the 60’s with South Melbourne and continues today with an even greater love for the Blackburn Football Club. With working for the AFL and seeing my son Alastair play there is never enough football in a day for me. Born and bred in Blackburn (attended Blackburn State and High Schools), Phil’s sporting passion was baseball, and over his 12 year career he played (mainly pitched) for Nunawading C of C, Blackburn and East Burwood during the winter months. Married to Liz and living in the Blackburn area, Phil has proudly supported his daughters Amy and Sara through their netball and basketball years, and son Ben when he played junior footy at Blackburn. Mixing a one man repair business with a passion for travelling in the outback, Phil enjoys being a spectator and managing the bar down at the panther pit. 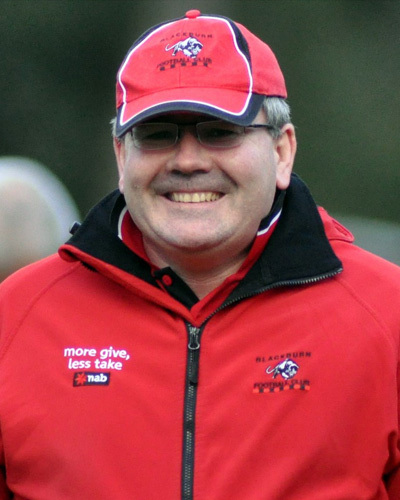 Mick’s association with the club started in 2003 as a spectator, before doing the match day raffle at the end of 2004 and the stats in mid 2005. 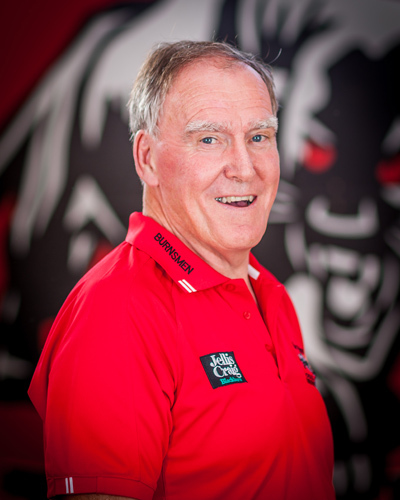 Mick continued doing the stats until 2013 for home games and 2015 for away games. 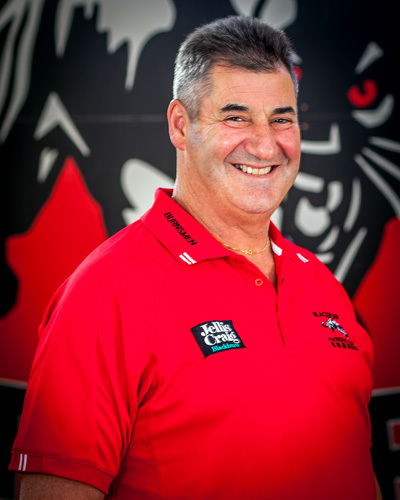 He then joined the senior committee in 2013, and also started doing the scoreboard from that time until the present – including the junior finals at Morton Park from the very start. Mick played junior footy for Blackburn South Junior Football Club, and is currently employed at Bunnings Box Hill in the Landscape Yard. Mark is a father of 4 (Rebecca, Teagan, Mikayla and Jayden), who has closely followed Jayden’s career through the Oakleigh Charges, then Port Melbourne, and now in the senior squad aged only 19. A keen saints supporter and sports follower, Mark played cricket, soccer and squash before umpiring both local footy and cricket in the Yarra Valley for many years. Mark worked for many years for the railways and Crown Casino, and is committed to playing his part as a BFC committee member. A life time Blackburn resident, Dermie’s introduction to the footy club came in the 1960s when he used to watch big brother Michael play in the Reserves (winning the flag in 1965). Being more than a capable tennis player and golfer in his younger years, Dermie gravitated back to the club in the 1970s when he came down to watch his good mate Ken “Golden Hands” Cooper play (father of last years reserves premiership captain, Tom). After becoming a regular last year helping Turk and Carl in the kitchen (including making an estimated 3,000 Carl’s burgers!! ), Dermie is stepping up this year to also assist the Treasurer in the controls and reporting areas. Married to the beautiful Julie, Dermie is happily retired after a varied working life from hotel management to manufacturing to sales. Brian has lived in the area all his life, growing up in East Doncaster before moving to Blackburn South and has been a resident of Forest Hill now for 14 years. A lifelong Richmond supporter (50 year member) who has had the privilege to sit in the ‘G to witness the Tigers win 6 flags, his own footy career was cruelly cut short in his teenage years by a lack of skill, strength and courage. 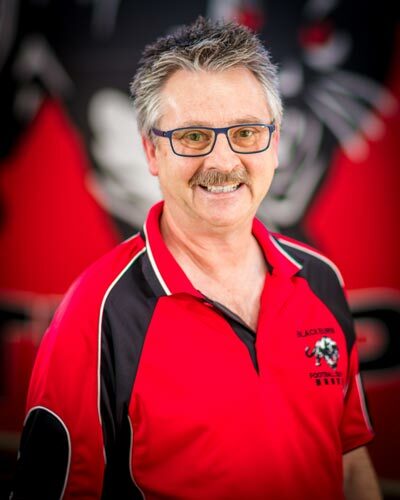 Married to Andrea, Brian was an active committee member at Nunawading Little Athletics while his 3 children competed there and has proudly followed his daughters Jess and Alex throughout their netball careers, now both playing at VNL level for Ariels and Tooradin-Dallmore FNC in the WGFNL. Son Tom has played his footy at Blackburn since his U12 year and it was a proud moment for the family when Tom made his senior debut for the Burners in 2018. Brian is a senior finance executive and recently left his role at adidas where he was the Finance Director for 11 years. Casey Johnson, (Johno), moved to Blackburn in 2006 and has never looked back since. Along with his son Kane (U14’s), Casey has been involved with the club since 2013 and always hoped to be given the opportunity to join the senior committee at some stage. His wife, (Simone), and daughter (Zoe) are also regulars at the club and enjoy the community atmosphere and friendships Blackburn FC provides. Casey played 165 games of junior and U’19s football with Reservoir FC & West Preston FC in the Northern Football League…. (where an AFL career was a very distant reality !!!). Away from the club, Casey is employed by David Golf & Engineering as National Sales & Marketing Manager, supplying golf course hardware and accessories throughout Australia, New Zealand and Sth East Asia. 2019 is Casey’s fist year on General Senior Committee with focus on a role as 300 club ambassador and other membership categories. Phil is a proud father of four (2 girls & 2 boys) and current players Nathan and Jake and has been supporting the Burners since Nathan joined the under 18’s 11 years ago. He played 196 games with Old Paradian’s Amateur FC in A and B Section Amateurs and served on the general committee and the social committee with wife Leanne. 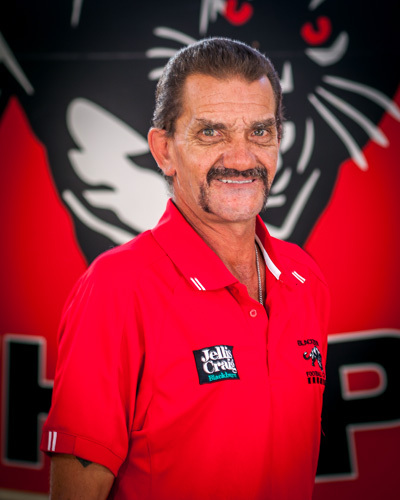 He was awarded life membership at the club as were his parents and like Leanne grew up in a family that were actively involved in local sporting groups. A ten-year stint at Cohuna in country Victoria included several years on the committee of the local footy club & lots of volunteer work. Phil has been an active BFC volunteer the past few years and supported Leanne while she was on the BFC committee. Phil is an experienced CPA with a finance, manufacturing and retail background. Sam’s biography is coming soon. Jacko started playing juniors at Blackburn in 1995 and played all the way into the seniors retiring at the end of 2014 with 5 B&F’s under his belt. 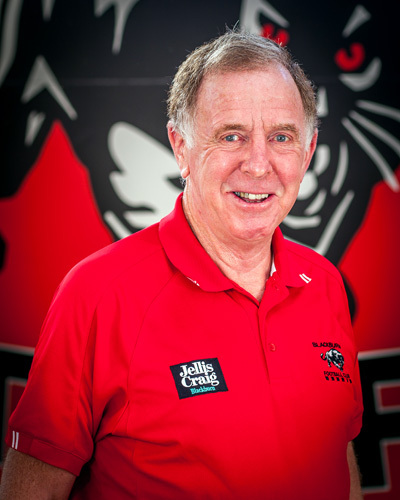 During his time at Blackburn he was involved in everything from organising functions, organising footy trips and even the senior committee for a brief stint. Jacko received Life Membership in 2014 which he holds close to his heart as the Blackburn Football was his first home growing up and he attributes most of his life time friendships from the BFC. 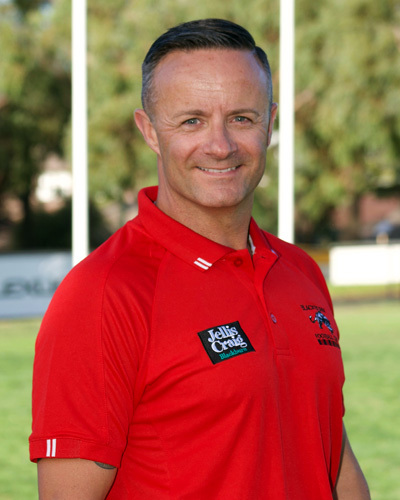 Outside of the club Jacko worked at Australia Post for 10 years in an Operations Role from the age of 20 through to 30. Jacko has now moved into the Financial Planning world where he works in Personal Insurance (Life,TPD,Trauma & Income Protection). “Kevin (or KP as he is known to all) was a ruthless back pocket player who played for the Clifton Hill YCW. Married to Marie and with 4 little kids the family moved to Blackburn in 1988, and got involved with Auskick in 1994 with kids Michael and Julie. 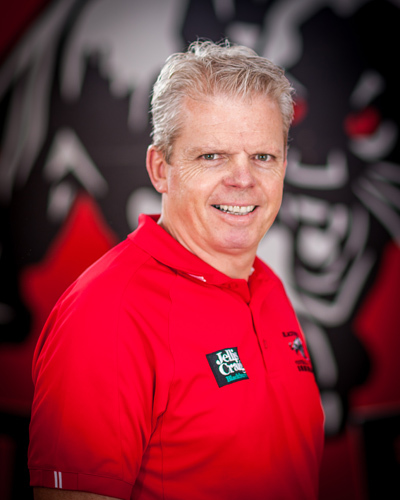 In 1996 KP joined the BFC junior club committee and quickly assumed the role of property manager – which he then took over in 2003 when he moved up into the senior committee. The mother of current players Jake and Nathan, Leanne comes from a very sporting family in regional Victoria where her dad, brothers and husband (Phil) played footy, and she played netball and tennis. 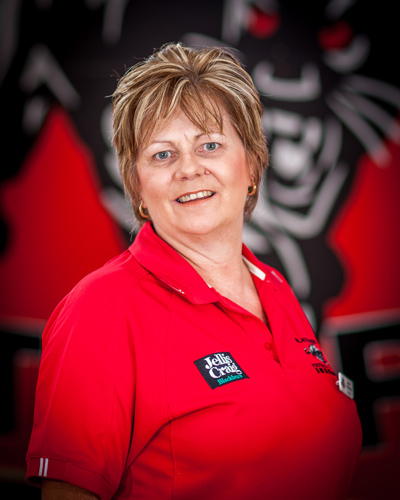 Raising 4 kids, she has always been involved on committees at the footy club, tennis club and school. She joined the senior committee 2 years ago and has been a key organiser of some of our bigger social functions – including the Dolan Day Out and Annual Ball. This year, Leanne will help the newly formed players social senior committee. Whilst not doing things at club land, Leanne works as a territory manager for a brokerage company. James (Jimmy) MacLeod is the man that has taken the functions at Blackburn to EFL best standards – simply, no one does it better. As CEO of Tobin Brothers, James has developed an extensive network of contacts who he can call on to be quality guest speakers at our functions, with James providing the organisational expertise behind the scenes, and the upfront MC skills which he revels in. Married to Louise (another great helper behind the scenes) and living in Blackburn raising Gus and Grace, James has tackled a variety of jobs around the Club, culminating with a 3 year stint as President from 2011 to 2013, steering the Club through some very difficult times. When not involved with life and death matters like football and work, James is active in Lions, volunteering with community groups or living the good life at the family holiday house at Port Campbell – always with one eye and one ear on the giddy ups! Paul played most of his footy in the ruck with Balwyn in the SE Suburban League, and played in 3 losing grand finals (one less than Tum!) – he was also responsible for the infamous “not enough games” disqualification after they won a preliminary final (ask him about it!). After moving to Blackburn (ultimately next to Morton Park in Glen Ebor Avenue) with wife Sherrin and 5 littlies (Emily, Anna, Patrick, D’Arcy and Rory), Paul’s involvement with the BFC started in 1996 when the club added U10 and U12 teams and his boys started their junior careers. Paul has now had over 20 years involvement with the Club, from parent to trainer to junior committees to senior committees (including stints as President, VP and Treasurer on both) to barman to general dogs body. As well as being a Life Member of the Club, Paul also represented the BFC on the EFL Board for 4 years from 2010. Paul has now been retired for 5 years after a long career with the Manningham City Council. 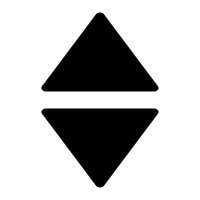 Mike has lived in the Blackburn area for 65 years, and started his association at Morton Park with the cricket club back in 1984 as a supporter, but quickly assumed the secretarial and admin responsibilities. One summer led to a winter, and Mike soon became a keen Burners footy club supporter – especially given the frustration at the time with his beloved magpies! Again Mike quickly moved into the senior committee Secretary’s role (which he held for 10 years), and in line with his career as an actuary, became the Club guru for all things numbers, records and compliance issues. 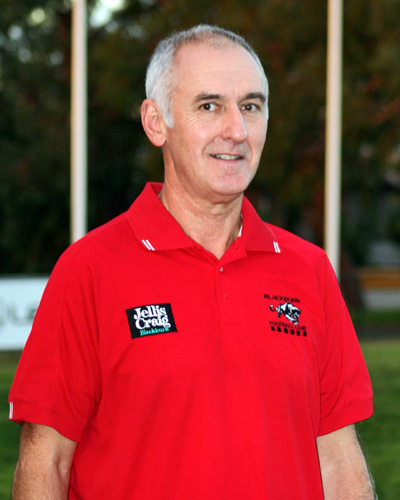 Now retired for some time, Mike was awarded a Life Membership in 2008, becoming the only LM of both the footy and cricket clubs who had never played for either.